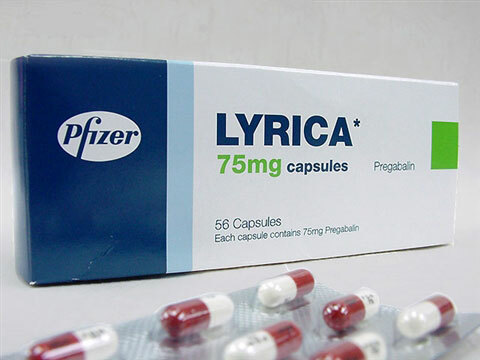 The prescription medicine Lyrica is a brand of the generic drug pregabalin and is used totreat seizures, relieve nerve pain and prevent anxiety. This drug is manufactured by Pfizer and there are currently no generic forms of it available. It was the first FDA-approved medication for fibromyalgia patients. Lyrica is available in capsule form, in the following dosages: 25 mg, 50 mg, 75 mg, 100 mg, 150 mg, 200 mg, 225 mg and 300 mg. It is also available in oral solution: 20 mg/mL. Lyrica users take a dose of the drug two or three times a day. Although Lyrica is known to have anti-anxiety properties, it is not exactly known how the drug works to treat seizures and nerve pain. It may be related to pregabalin’s ability to bind certain parts of calcium channels in the central nervous system. Pregabalin is primarily used to treat epilepsy, fibromyalgia and nerve pain. It treats a certain type of epileptic seizure called partial seizures, relieves the pain associated with fibromyalgia and alleviates the chronic nerve pain associated with shingles and diabetes. Although Lyrica may be an effective anxiety medication due to its anti-anxiety properties, it’s not officially approved for anxiety treatment at present. Another possible off-label use for the drug is to relieve moderate pain, such as that commonly experienced after a dental procedure. This medication helps to relieve pain associated with fibromyalgia and helps to treat patients who suffer from seizures known as partial seizures. It contains an active ingredient known as Pregabalin which helps to control and prevent seizures by preventing excess electrical activity in the brain. Lyrica is normally prescribed to patients as an additional treatment when other medications have been unsuccessful in controlling their seizures. Because the Pregabalin is able to stabilize electrical nerve activity, it is also used to treat neuropathic pain in patients who have suffered spinal cord injuries. Using this medication in conjunction with barbiturate, opiate or benzodiazepine medications can increase the risk of dizziness and drowsiness. It is also not recommended that this medication be used with alcohol or if the patient will be requiring anesthetic. This medication should be used with caution in patients suffering from diabetes, kidney conditions or heart conditions. Patients should inform their doctor of other medications they are using before starting to use Lyrica. This will assist their doctor in making informed decisions regarding their particular dosage of the medication. It is important for the patient to follow their dosage instruction precisely in order to avoid unpleasant side effects or withdrawal symptoms. If any side effects are experienced, the patient should discuss them with their healthcare provider so that alternative medications can be explored if Lyrica is found to be unsuitable for them to use.